I found this first one on Remodelaholic. It is a headboard made out of salvaged kitchen cupboards and recycled wood scraps. The total cost of the project...$15. The tutorial is easy to follow with detailed diagrams and step by step photos. I got so excited when I saw this next one, its so amazing I had a dream about it last night and thought of doing this post and of course making it! I found it on Design*Sponge, it's made using wax paper and a hanging basket. When you take a look at the materials list I bet you could make this capiz shell inspired chandelier for under $30 if not less. I'm already mentally picturing where in my thrift store I'll find a hanging basket and that white paint I bought a few months ago and never used!! Doing a major reupholster seems like a huge undertaking, but at Eighteenth Century Agrarian Business, they broke down the process into 5 simplified steps, provide lots of detailed pictures and suggest useful books to help keep you on track. 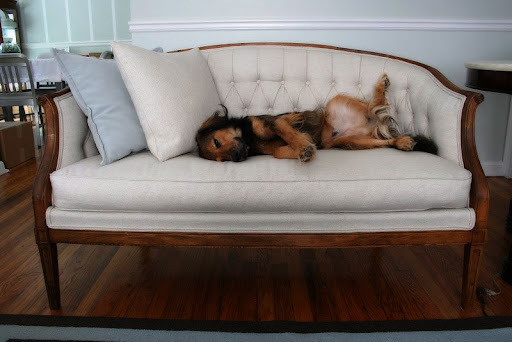 I wish I had something to reupholster. 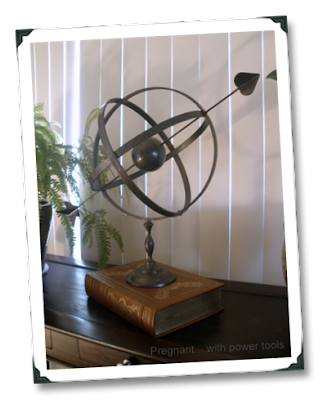 Would you believe this armillary was made with some embroidery hoops and an old candle stick holder? This project was found on Someday Crafts and it will definitly fool anyone into thinking you paid big bucks for it. This last DIY tutorial for a mini greenhouse was featured on Country Living. It's made from wooden picture frames and is already on my todo list. I love DIY tutorials because you can always modify colours and finishes to suit your tastes and style. The mini greenhouse may look rustic/country painted white, but with simple picture frames (instead of more ornate styles) and a coat of black paint it could look sleek and modern. Depending on the wood used for the headboard, it could be given a dark stain for a more dramatic look. And of course, you can use any fabric you desire to reupholster anything and everything! So even though we are not moving out of our "at school rental house" for a few more months I'm already dreaming about all the great DIY projects I can undertake when we're finally out of here!! I'd like to make "would you believe it's a DIY" a regular post, I have tons of bookmarked DIY's I'd love to share, and hopefully it is something you are interested in too. 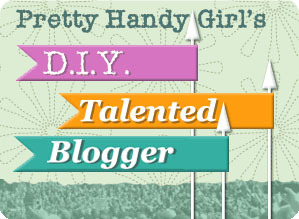 Are you a DIY-er? What projects do you have your your todo list? <3 I'd love to become a DIY-er but so far I never really had a place all to myself and big enough for any projects. I definitely will try to make more things myself as soon as I'm out of my current apartment (only two more months left :D ).